Are you a worrier? I can be. I believe it is a part of my personality. Although I trust God and know He is in control, the human side of me can easily run to the thought pattern of worrying. There are a couple things that I do when I start to worry. The first thing I do is to ask myself this question – “Do you really trust God?” I once read a statement by Ann Voskamp that resonated deep in my heart. 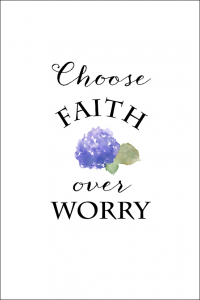 She said, “Worry is faith gone wrong, because we don’t believe God will get it right.” Worry unveils something very true within our hearts – a lack of belief in a Sovereign God’s ability. Ouch!…but so true!! The next thing I do is to read Scripture or quote verses that I have memorized over the years. I have some go-to verses that are kept in my prayer journal that I refer to when I find myself worrying. These scriptures give me the proper vision I need during times when it seems my “eye-sight” is a wee bit (or a whole lot!) clouded by Satan and his plan to consume me with worrisome thoughts. I have found that these verses are a mighty weapon against worry and anxiousness. Things that concern us are going to happen in our day to day lives. We must equip ourselves with the Truth that protects our hearts and minds. When we do this, God’s powerful words (Hebrews 4:12) become a soothing balm for our anxious souls. 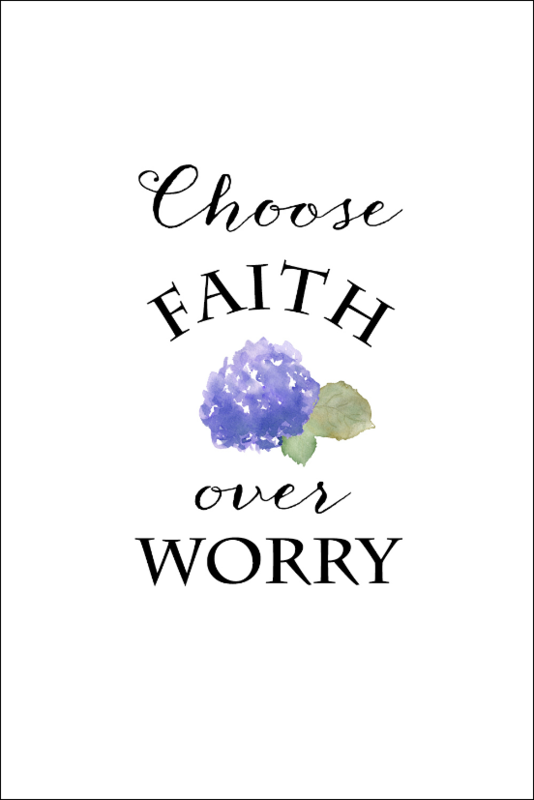 Confidence replaces doubt and peace replaces worry. We can exhale and we find sweet rest because instead of relying on our strength to carry us, we rely on the promises found in Christ Jesus. Great verses to memorize !